There are more details on the website – the reason given for the decision is that the uptake of mobile telecare and telehealth in the UK marketplace has been slower than anticipated. As someone who attended the launch of Help at Hand in March, and who has been really excited about O2’s decision to move into the end-consumer market as the harbinger of the development of a consumer telemonitoring service market, this has left me in a state of shock. There are of course now apps that can make a standard smartphone or tablet behave in a similar manner to the dedicated kit that O2 has provided. However the principal challenge with retail sales of telecare and telehealth has always been the monitoring/response end, which O2 will now presumably be withdrawing. [grow_thumb image=”http://telecareaware.com/wp-content/uploads/2013/07/o2-on-sale-after-withdrawl-26jul13.jpg” thumb_width=”200″ /]Update 26 July: A reader has sent us a snap of the O2 display taken today at their local (Hertfordshire) Tesco pharmacy counter. That person spoke with the pharmacist who said they hadn’t been told it had been withdrawn! This Editor (Donna) notes that the display is jammed in adjacent to the £5 Cholesterol Check and flyers for ‘Are You At Risk For Diabetes?’ Aside from its unattractiveness and medicalization, whatever happened to what presumably was the marketing takeaway message–freedom to live life out of the home in safety for the first time, delivered simply? Looks like the POS (point of sale) missed that all-important mark. So shocked, if I thought anyone would have made great tracks into making Telecare mainstream, then it would have been 02 with their deep pockets. This is a big blow for Telecare in my opinion. Everyone involved with Telecare would have benefited from the power of such a brand being involved and seeing that Telecare had a future. Where did they go wrong? It is not like O2 is an underfunded startup–their parent is Telefonica and the O2 brand sells broadband and mobile services in UK, Ireland, Germany, the Czech Republic and Slovakia. For a major multi-national to put so much behind it, then to abandon it after four months is downright embarrassing. Just in May–two months ago!–they announced an alliance with Tesco in addition to Sainsbury’s. The fact that they are not only buying back the units but also giving UKL100 on top is generous–but abandoning an initiative after not even a year, and stranding their existing subscribers at end of year I believe is indicative of corporate panic or loss of faith at a very high level. Or did something other than sales not work? Another regret is that their positioning as an emergency alert was innovative x 2 – a service not just for older adults but younger people with chronic conditions. A product that would facilitate mobility for those with conditions such as angina and seizures. This seemed like a home run. And whither Health at Home, also announced in March? It’s not on the O2 website. “O2 brand is much more than just a logo and some bubbles. It’s a promise, a set of highly cherished values, and an inspiration. At the same time, it’s a source of competitive advantage and shareholder value. Shocked by this news after such a short time of their new service going live – seems a very confused approach. I wonder how many Telecare and Telehealth Services have also bought kit/services? Give a thought too for the staff at O2 who have worked really hard to establish the new service without, it would seem, being given the opportunity to establish the concept in such a short time. The fact that O2 has withdrawn isn’t surprising in itself, but the timing is. What telehealth in particular needs is a period of consolidation as the new commissioning structures bed in. Telehealth providers need to offer help to these new commissioners to understand how to commission services effectively. 3millionlives came up with simple commissioning guidelines that most commissioners would welcome. Yes, development of the market has been slower than expected. But I’m surprised that a company as mature as Telefonica couldn’t recognise that the transition to the new Health and Social Care landscape would cause a delay. For a company that claims to be committed to supporting healthcare provision this seems more like an admission that the dedicated locked down box model doesn’t work and lightweight apps on patients’ own devices is the way forward, but with very small profit margins. Lots of interesting comments here. Fundamentally entering a market from a product orientated perspective rather than a systemic position strikes me as a risky step. However, O2 Health had made significant investments into it’s tech and products for the previous two years or so. Thus i guess it was under pressure to realise the benefits of those, which were (effectively) developed in an earlier era of the NHS. It clearly doesn’t help that the kind of business models ideally required here need to consider a longer term ROI, something that the economy has pushed both the public sector and industry to develop short-sightedness towards. I’ll buck the trend – disappointed, yet not one bit surprised, but very appreciative that they have at least done it so cleanly rather than dragging it out and leaving people unknowingly vulnerable. I argued to the original TTA piece that although the ‘younger people’ market segment was ripe there were good reasons why it wasn’t ready to take delivery – namely it requires a major step change from those younger people in the market wanting to move from very supported lifestyles to increased independence – all too often the aspiration is not there because the Local Authorities and parents have wrapped them in cotton wool – this is particularly the case with seizures. Public awareness is so low that even a huge marketing campaign will struggle to generate sales and their retail approach opened them to risk of sales staff, who likely do not understand the full ramifications of assistive technology, struggling to explain the benefits to an unaware and disinterested populace. You really have to understand the technology and what the person is wanting to achieve to be able to ‘sell’ the best solution; if you don’t get that right you end up with dissatisfied customers complaining that they have spent all this money and it doesn’t do what they need. And the telehealth was always going to struggle unless the NHS bought in to it – for several reasons – people won’t adopt something their doctor doesn’t agree with and in fact some doctors have said they couldn’t use readings from a personally owned monitor; and healthcare is free at the point of delivery so why would the patients buy from O2? •	G4S were the O2 health monitoring centre – their damaged brand aside, surely that alienated the 200 odd council telecare monitoring centres? Sad news for the staff of O2 health definitely – a shock no. Mobile telecare is ultimately the future of telecare, PSTN land lines are being decommissioned every day – ask BT. There are a number of great products out there, with Advance GPS, fall detection, geo fencing, Bluetooth integration with telehealth devices, but as ever it’s not the tech that’s the issue. The challenge is finding the right channel, so that the benefits can be felt by service users and private paying consumers alike, stuffing a product on some shelf space is not the answer. I would contend the key to this is council monitoring centres, and the domiciliary care providers. Anonymous due to a vested interest, but hopefully my comments provoke some additional thoughts and comments. The changes (structural/financial) accompanied by unprecedented scrutiny and scepticism around use of technology in health and care services (eg NPfiT/111/online health records/remote monitoring) has made many commissioners risk adverse. We have probably lost 3-5 years whilst all of these changes are made and there is no doubt that the UK is now starting to lag seriously behind Europe, Asia and the Americas. A worry is that innovative companies will simply move out of the UK as it becomes just too difficult to work with so many constantly changing organisations in the health and care sector. Having existing telecare/telehealth users move to a new mobile model would have needed considerable support from health, social care and housing organisations to get rapid adoption and scale. In the world of commercial acquisitions, one of the only ways to get to scale early on is to buy up or partner with existing larger service centres – not an easy task in the UK. Withdrawal after Q1 could suggest a hard commercial decision based on initial signup figures from the supermarkets and existing high street presence. Certainly, existing smartphone/app combinations and the prospects of innovative wrist devices with additional sensor options could potentially move the consumer market along in future. I suspect there are also some business model issues to think through here as well – who are products/services aimed at, what problems are they trying to address, where and when do people make consumer purchases decisions around these technologies/service wraparounds, how easy are they to set up and do they link with existing tech and lifestyles, how do control/call centres support people in local communities? With the NHS in England heading for a £30bn+ gap over the next few years and continuing headlines around care quality, potential rationing of services, changes in eligibility, A&E pressures, it will need bold commissioners and service providers to step forwards with tech-enabled service options that are cost-effective using personal budgets and traditional approaches as well as innovators who can offer solutions that fit in with personal lifestyles. It failed because nobody reaches out to the real customers and beneficiaries, not local authorities etc. Speaking as a person who has a parent with dementia I am shocked and saddened that so much has been invested by Government via BIS and the TSB to re create stuff that already exits and tell people who already know about it. Walk out of your front door onto the street and ask the first person you meet what is telecare and I am sure you will be met with a bemused face. We as a nation do not value health as the state will intervene when we get it wrong, so asking us to prepare for our future with the aid of technology (which incidentally this nation is at best ambivalent to and at worst despises) is a bit of a non starter. Older people use Skype so they can see their grandchildren in remote climes. There is therefore a tangible benefit to using technology for this particular group. Nobody had to create a media campaign to reach this demographic it was just common sense and word of mouth. Perhaps we could learn from that model. There… rant over, enjoy the sunshine. WOW move over Google, that must be the fastest EOL’ing of a product for a long time. I wonder are there larger issues at play. I have to agree with Anon’s comments re route to market, and use of council and domiciliary care providers. We tried the direct to consumer approach and it proved very difficult and are now partnering with Care providers, centralized care providers as well as telehealth monitoring orgs and it is proving to be somewhat easier. I think the other issue though is the requirement for single purpose devices and the cost of those systems. Most of us are now walking around with more compute power with sensors than was available in the not too distant past why not use them, we do…. 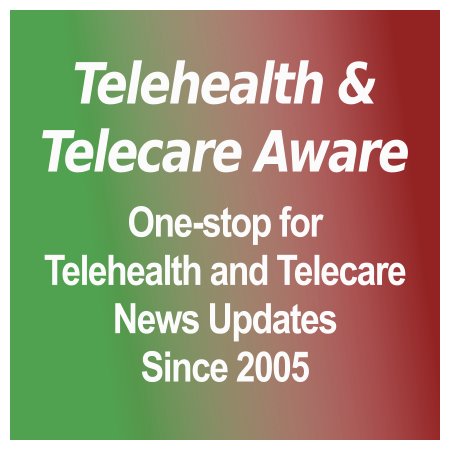 Telecare/Telehealth does not have a face. It does not have a High Street presence. Popping it on a shelf in a supermarket is not going to sell it to people. Having it in a shop dedicated more to which processor out processes the processor on rival phones or to which has the biggest screen or which has the better camera or the more Apps is not the way to go either. As Paul Doyle states Skype ‘took no selling’. That is because of the universal appeal of it as opposed to it being for a targetted audience. Word of mouth is wonderful but when most people only get info on Telecare when they are at their time of greatest need their circle of friends is at all time low. There is no one to mouth your words to. There is no ‘I am ill group’ that gets together to discuss the latest technological innovations that may assist in their wellbeing. The majority of people with ‘assessed for’ needs are no longer having social interactions or Googling their favourite band’s next tour date nearby. They are barely existing because their needs have become so great that are becoming their illness, ailment, disease, and nothing else. In order to be truly preventative, proactive and to have bigger impact (but over a longer period of time) the 3ML ‘partners’ should have put their £10000 buy in cash in one big pot (added a bit more to it from each companies Comms and Marketing budgets) and produced a year long advertising campaign extolling the virtues of these types of systems. One campaign, showing the benefits of these systems and services without a brand in sight – contact your local NHS/LA for further information. Yeah. UNATTR – only one flaw in that plan – the contacts at the end of your campaign blurb. We seriously need to stop referring everyone into our cash strapped public sector which cannot deliver on these things (if they could we wouldn’t even have seen O2 try). Winston Churchill is quoted as saying “Kites rise highest against the wind, not with it.” Currently we are in the doldrums … O2 had a good two line sports kite they just didn’t read the wind correctly – it needs a hurricane to blow through before that kite will rise off the ground. I see what you mean Cathy about not providing. I was thinking more along the lines of them being two of the few truly independent services that would be able to facilitate this enquiry. As the look and feel of our services are changing we can adapt without abandoning by providing a sign posting and guidance service that may or may not be provided elsewhere free of charge – but I am unaware of it. An assessment where the outcome is the best available technology and service out there is recommended and the person sorts out the rest with that information. At present who would you talk to for this kind of information? How would they know they needed to talk to someone? Only if you are referred into a service will you find out and still you will only have the type of technologies/services that have been procured en masse on your behalf as a patient or tax payer. Best deal for the whole or best deal for the purchasing organisation? Personalised? We don’t want sales staff say the CCGs (the knowledgeable ones) because then we will be up Poo Street the same as the LAs were back in 2006-2008 when 85% of the PTG went to one company only because they had the best placed sales staff. We have a stalemate – businesses want to sell to organisations not individuals; organisations are reducing provision of services and equipment to individuals. It is in the best interests of all three to make this work but whose responsibility is it to push this? Which is where my combined approach comes in. A shop with tech and services from business; a ‘sales’ staff of assessors from the LA/CCG who can work with the person to find the best solution and the individuals willing to come through the door. A ticket system from Doctors, Nurses, Social Workers etc could be in place so when these professionals think something like this will benefit then they give the person a ticket and they come to the emporium. Certainly from the perspective of Social Care (and Personalisation/Self Directed Support) this is where Brokerage is envisaged as working. A Broker being a knowledgeable body (individual or company) which can receive referrals based on assessment of need, signpost products/services and if required broke the best solutions available to meet the needs of those referred and the budgets, etc. BUT if a person is assessed as only needing a Community Alarm – will that get to brokerage to tell them what options they have or will it default to the Council Monitoring Centre? Until we reach the point where it gets to Brokerage and people are aware they have competing options to the Community Alarm service it remains a stagnant marketplace. You say “real easy?” – it should be if those with vested interest would unvest themselves (sorry I know that conjures up images we probably don’t want at teatime); if we applied some Design Thinking to service delivery (empathy with the beneficiaries being a great starting point); if we made people curious as you say and if we open this up through brokerage (avoids disastrous implementations) so that it becomes a vibrant and competitive marketplace. I don’t think the suppliers that post here would have any complaints with the newly levelled – even if still slightly sloping – playing field? It isn’t easy, it isn’t difficult – but it is a really, really big elephant … and he’s … behind you! Sadly we aren’t so shocked at the news. Having trialled the handset some two years before O2, its no surprise to us that there wasnt mass market appeal for this. At the end of the day it will be a numbers game for O2 – its all about volume and they over estimated the market.Be interested in everyones view on our article found here http://www.telecare24.co.uk/blog/o2-closes-careline-service/. Like most others I’m surprised that O2 have withdrawn so quickly and also disappointed as this was an opportunity to drag telecare forward into the brave new mobile world. Anon’s comments about zero sales at the local Sainsbury’s highlights the reason, but did O2 go about marketing this in the right way? Paul hits the nail on the head when he asks of the reaction to people in the street if questioned about telecare – bemused! Until that situation is addressed then all the fancy adverts with O2 bubbles in the world weren’t going to work, and a company of their size surely must have had a marketing team sitting around who could have found that out and come up with a better plan? Not only are the public unaware, they may also want to be, and unless that is changed then telecare and telehealth will remain, for the majority, a reactive service set up following an unfortunate health event. Are the public ready to take preventative steps themselves, well we certainly won’t find out unless we at least make them curious about telecare and telehealth. Suppliers and Service Providers alike (both private and public) need to focus on awareness and leave behind the old images of people fallen at the foot of the stairs or sitting in comfy armchairs with an ugly looking pendant round their necks. Worse are the campaigns that tell you nothing about telecare or telehealth but promise it will help you stay independent. Focus on the good news stories, and the benefits the various sensors and monitoring can bring, make it not about the technology but about the people who use it and what good it brings to them. The Mick’s House concept is a step in the right direction and surely offers an opportunity to raise awareness through the thoughts and experiences of someone who has benefited hugely from technology. Personally, I feel that if we can raise public awareness enough to what is available now, then they will demand a move to the type of mobile product that O2 were hoping to thrust upon them. Mobile maybe the future for telecare, and I can’t disagree with that, but unless the public are aware of how it can benefit them, it will be a pretty dim future. Very interesting reading, all of the comments seem to come from the perspective that an organization such as O2 were doomed to failure. Right product wrong route to market and I fully agree, they may have the commercial power but the market is not mature enough for them. (commercial interest declared here) Watch this space as they say, Sight and Sound technology have been providing product to the disabled market for many years with the full support required and we are about to launch a product which we feel meets the needs and demands of this market area. Watch out for Respexi! I was about to post a soapbox on the pros and cons of relying on the self pay market but this news and stream seems to have started the conversation for me. The main point I wanted to make would be around the differing strategies and models of service provision that are being taken up by local authorities. With some councils deciding to be soley commissioning councils and others providing direct services that include a big emphasis on prevention, we have different views of what will and won’t work with the take up of technology. An investment in prevention not only allows councils and health services to provide services and equipment that will help people ‘stay away from hosptial and council doors for longer’, also connecting these people to the 3rd sector, it will help to shape the provision of technology that integrates with health, housing and social care systems so that when a person’s circumstances change, the transition is smoother using their existing technology to link to these services. This approach reduces the problems of people going away and buying their own kit from whoever and then having to change it completely (due to lack of technology integration) when they have greater health or social care needs. My questions therefore are whether there is a big enough market for self pay tele-anything? Are we looking at 5-10 years before this really takes off? If yes, are those councils who are moving over to commissioning only, gambling on the fact that everyone will grab their own technology whether they are aware of it or not? If they don’t, will they just present at council and hosptial doors sooner than they would without a supported prevention service providing equipment and/or advice on systems and technology? I agree with Cathy’s and others comments on brokerage but do we really have this built in to our assessment and decision making functions for FACS eligible customers? If not, how can councils provide the right budgets / advice and direction for people to use their direct payments on technology? If we tell a customer that we will only provide enough budget for a medication reminding device as opposed to their wish of 3 visits a day to do this, we must follow this up with expert advice and assistance or alternatively, not provide the customer with a budget for this equipment to let them search the market, why not reduce the budget and provide the equipment at a lower cost based on more powerful procurement and pricing that is available to us. If we can buy a pill dispenser at £70 but the price for the customer on the market is £100, are we not just throwing extra money at the problem but with less control?? From where I am sitting Alasdair you are right, brokerage is not in the equation in most areas and still in the starting blocks in Scotland; but then in many areas we still don’t have competent assessment relating to assistive technology and we rely on the catch-all of a basic Community Alarm service. Whilst ever there are inconsistencies in our criteria (eg A Community Alarm service does not constitute Personal Care so will always be a chargeable service BUT a prompting device may constitute personal care and therefore may be provided free of charge to some service users, as would the care visits) we will struggle to move forward with this. On your last point why? (referring to the Scottish legislation here – there will be regional variations perhaps) because based on the assessment of their need and the agreed overall budget to meet those needs the individual will have the choice to have a service/product provided, or to receive a direct payment, or have a personal budget; if they choose to have the direct payment of £70 and top that up to get a different model we should ensure they are signposted to information and advice to support informed choices (eg brokerage). Of course the individual needs to be made aware that if they make a mistake and the dispenser they choose doesn’t suit there is then no fall back to what they originally wished. I read with much interest the blog concerning the withdrawal from the market of the O2 Help at Hand device and service. 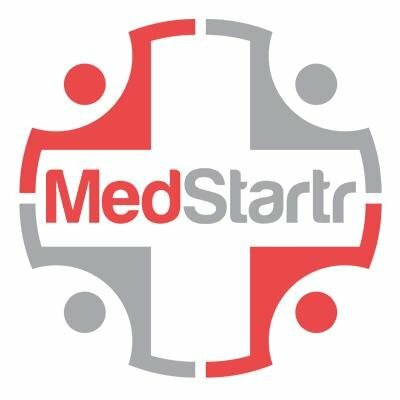 I have been tentatively looking at entry into this sector and was interested in your note about the innovation sub-group for Telehealth in the West Midlands. I have close links a third party who are at prototype stage with a new device and I think it would be invaluable to bring it to the sub-group for comment. Are you able to pass me your contact details? If you want to bob me an e-mail with your details I can get someone to give you a ring. Hi Cathy, very interesting to hear progress in Scotland. In response to your why? I think that the approach of providing budget for equipment at the cost we buy it only adds further dangers around the uptake / confidence and assurance of the technology. Surely it is not in our interests to under provde the budget for an identified piece of equipment as this could lead to non purchase or as you quite rightly say, they purchase something that does not fit their need. I suppose on the other hand, if we provide the full (external) market price and guide them to the item, we are overspending on our community care budgets as we know we can get it cheaper – therefore, should we not invest in prevention services that both provide our councils with best value on equipment purchase and offer the equipment / advice / assessment and provision free of charge? I do acknowledge however that here in Sandwell, I am in a better position than others given our technology service is jointly funded by the PCT as as part of this arrangement, we can not charge for the equipment as it is not classed as a perscription service. I am therefore providing my service across health and social care in order to make efficiencies within these services and not driven to income generate. My view is that we can do this more effectively by offering a free (all emcompassing) service that meets people’s needs whether they are FACS eligible or not. we use ‘technology as the default position’ within all assessment functions and the technology is a universal offer with the added value of providing the skills and expertise to facilitate technology provision. People can opt out however but the ‘free’ offer seems to be favourable to many. In my opinion yes we should focus on prevention as a higher priority; the argument from the authorities is how do we know it is preventing anything or even the right thing? That is a different argument though to meeting assessed need? In terms of how the authority sets the budget to meet assessed need (under Self Directed Support) that is not stipulated in the legislation but the spirit of the law is intended to provide a transparent audit trail of that budget setting process; therefore each authority needs to take that decision as to how they will budget on assistive technologies and document it. Surely a sensible win-win would be to reframe the framework agreements so that the public could buy from a specific range at the same prices as the authority, with a ticket provided by the authority, or could exercise their right to shop in the high street and make up any difference? One of the things I am fairly confident many authorities will struggle with is whether mobile based technologies are valid choices (The reasons usually quoted include “how do we know they won’t abuse it or lose it?” and the ethos that independence is staying in your own home rather than your community). Models like O2 HelpingHand are definitely a move into the preventative self-pay market … and that market needs more preparation or it needs to be left to grow organically based on good mobile phone apps. A question about Sandwell then? what happens when the authorities decide there are no longer budgets to “spend to save” – is there a risk that we will see a similar situation to we are seeing in Housing and pull cord alarms? Our apaproach is to jointly commission a Prevention Platform, something which I am currently working on. This brings together all prevention services across health, housing and social care and the 3rd sector, puts them under one roof, redesigns the customer / patient journey and will ensure fully integrated working. Our commitment to outcome based commissioning and identifying high level outcome as well as specific outcomes, the redesign of services will include a move to outcome focussed assessments. We will agree the manner of collectiong / recording / reviewing and reporting on these outcomes ensuring that we meet both the customer / patient’s outcomes as well as our strategic higher level outcomes (Health and Welbeing Board priorities etc). Using these as evidence and cross checking / data matching the view is that we will clearly be able to identify reductions in hospital admissions / bed days / reduced readmissions / delayed transfers of care and evidence where we have reabled people to live independently in the community, reducing the need for longer term, higher cost packages of care and support. The services that make up the Prevention Platform will have aligned budgets and be responsible for the savings achieved, as opposed to each small element claiming the same savings / cost diversions. The financial support for the future upkeep of the platform will be through evidence efficiencies and savingsc which will be re-directed to the platform. Technology will be an integral part of this work but will not work in isolation, it will also involve the use of various technologies to help shape and redesign service provision outside of the platform services using elements of telehealth and video through the TV. All in all, the money should not dry up, it should actually be saved through prevention to self fund the platform. @Mark. You raise very interesting and valid points.”Bemused” is certainly one word for it, when we asked 1,500 of our customers how they referred to our service only 1.9% said Telecare. The name does not mean anything to the self pay market. Was the choice of GS4 for monitoring the right one? Would be interesting to hear Tunstall’s opinions on how they think the ROMAD will fair. … but (your bean counters don’t read this do they?) … sceptical me is curious – so you believe the money saved will be reinvested indefinitely? I ask because the authority bean counters I have met see those savings not being reinvested because they are relying on them to balance budget cuts elsewhere. And all this prevention stuff is great it keeps people out of hospital or care and saves money this year but then those same people only go and live an extra 10 years … so they actually cost the bean counters more! Apologies my reply should have nested under Alasdair’s and is not a question to you Charlene. We have to make savings, all councils and health organisations do and are looking to technology in the short term and long term. Of course, prevention has to clearly prove itself (but it is better than the cure) our platform is about both prevention and looking at acute settings as well as challenging exisiting packages of care and support in order to make sure we focus on people’s outcomes, promote independence and ancourage positive risk taking. The money is out there and we can evidence how it can be done – see link below that provides the presentation I did at the Kings Fund. Thanks for the link Alasdair – it immediately contextualised your comments for me. LD service users stand to gain hugely from the Personalisation legislation provided the sort of work outlined in your slides is done but it is also a group (and I know this is a generalisation) where it is more likely that a preference for a Personal budget or the Authority to provide the supports would be made? so your comments about the savings from just providing the equipment are more in context. Are other service users anticipated to join the Platform and have you started that yet? Great conversation Alasdair and Cathy, fascinating and exactly the line of thinking that we have @ Sight and Sound. We think that the integration of services is the way to go, including the Family and Carers as a part of the group. The initial phase of any difficulty will be picked up by the GP and/or the Family/Friends I think that is why O2 considered this retail approach. However what I think they missed was the support required for such services, as Sight and Sound have been operating in this way for the last 30yrs+ we have the experience and the support back-up in place to move forward. The core of Respexi will be the simple Tablet with App that will allow all of the communication to Family/Friends etc.., we will add alerting systems and monitoring and other things in time, the key being an integrated service. Start with the core and add what you want, nothing changes for the user over time, they stay with what they are used to and you can just add extra services as and when needed. Must admit I was surprised at the sudden withdrawal by O2 on one hand but not on another. There are some great comments amongst you all as to this situation. For me what has been interesting is that I build tech companies and O2 committed the cardinal sin of introducing new tech into the consumer market without education and marketing to a segmentation that itself are not early adopters. Just putting it in store , whilst exciting for the few of us who want to see telehealth/telecare leap into mainstream, was always going to be an damp squid without the preparation of the audience. In my case, when we were white boarding a new venture in this field the initial impulse was to put layers and layers of technology everywhere, but review of the market suggested that the consumer was not there yet by many years, so we rolled back to a point of removing almost all technology and as a few of you have already said tried to look at the need more than the tech and look at the journey that will include the family and friends more than the institutions. Hopefully in this way it becomes a natural stepping stone to the real benefits we all know the technology can provide. Getting the timing right is critical and that is the biggest lesson I take from O2s withdrawal as the consumer has to be ready to accept leaps of faith. I know from experience this is exceptionally difficult but we should not lose heart as the wave is building and the passion that clearly many of you have in this field will produce the right outcome, eventually. A good point well put. The wave is growing but not quite the tsunami we are waiting for yet. I also agree with your comments about researching the market, especially when new products are being thought of or developed. In the West Midlands we have a thriving Telehealthcare Network that meets every two months and is made up of ADASS reps, Commissioners, Telecare and Telehealth leads. As part of our bi-monthly meetings, in the afternoon I chair the Innovations Sub Group. This group is designed to discuss any issues we are having about new and exisiting technologies, invite suppliers / manufacturers in to address any problems and receive demonstrations from companies providing new equipment or services. This latter element is designed so we can be used as a sounding board for companies who are thing of developing a new piece of tech in order that we can critique it or suggest modifications etc. This approach is better than companies coming to us and saying ‘have a look at this item we have developed, would you use it?’ In some cases, the product they have designed and manufactured requires changes however, but at this point too much has been invested in the manufacturing process to affect any change or modification. I suppose the message here is that as purchasers of tech and often information points for the public, we need to be included in the early stages or new tech or we will not buy it or suggest it to people. Alasdair, love to talk to your group about our new introduction, contact me directly please. The problem was that they were trying to sell a technology solution into healthcare, not a healthcare solution that uses technology to get a healthcare outcome. There is a subtle yet very important difference that most technology companies are still struggling to understand. Perhaps a pink unicorn or a purple squirrel, George! It would not be the first time that there is (was) a huge gap between the communications promise and the reality of the product. (Remember that I’m in the US where O2 is not marketed, and Telefonica has zero presence here). What the communications (the videos) promised were outcome based–the takeaway was freedom to live your life out of the home in safety for the first time, delivered simply. O2 just did not deliver or carry through the promise. Yes or no? I’m getting from the comments above plus David Doherty’s piece http://mhealthinsight.com/2013/07/25/o2telefonica-calls-time-on-o2-health-with-expensive-service-give-away-product-recall/ that it got complex–and O2 wasn’t smart enough to offer a smartphone app to determine takeup versus the simple phone. Why they’d go with a troubled response center (Anonymous) is a puzzle. My ‘read’ based on nothing but the tea leaves is that internally, Telefonica’s financial troubles (well outlined by David D.) helped tip the scales to an early demise of Help At Hand. Financial panic spreads like a winter cold in an office. I noted that the principal challenge of telecare and telehealth has always been the monitoring/response end – This is the reason our new company has been set up. A new national medical response company to provide a mobile telecare response services to those without key holders or family members. Thus opening up telecare to reach those more vulnerable. In order for a telecare service to be effective it is vital that there are responders available to visit in the event that an alert/alarm is raised. Many service users have family and key holders who act as responders when alerts are raised from telecare equipment. However, sometimes these responders are not available meaning there is a requirement for a backup response. Other service users do not have family members or neighbours who are able or willing to provide such a response. Our service provides an emergency response to support people in their own homes. This support assists people, wherever possible to avoid the need to call upon the emergency services or other health services. The support may include aspects of personal care, emotional support and reassurance, assistance to recover following a fall or assistance to obtain appropriate support from other professional services, as necessary. I have found it fascinating to read the comments relating to the closure of the O2 Health service – especially if you then read the reports concerning the service launch earlier this year, and the views of various commentators who predicted that it would be a game changer. It is easy to be wise after the event and to analyse the commercial reasons why Telefonica took a brave commercial decision after such a short period of time – so I will restrict myself to the questions that I asked at the time of the launch (some publicly and some to CUHTec members), and the issues that I predicted might scupper the chances of the new service at that time. 1. Is the Great British public sufficiently aware of the concept of telecare and its potential for supporting vulnerable people in the community? Most people would agree that the answer is no and that we all have a lot of hard work to do to address this issue. One company can’t be expected to do it irrespective of the size of its marketing budget. So perhaps O2 Health got the timing wrong and could come back in the future when the market is more mature. 2. Can Helping Hand succeed as a telecare service when it has only 2 products available both of which address the needs of perhaps a small number of people in a limited sector of the potential market? The answer must sadly be no – but this begs the question how many products are actually needed and how much choice should be available for consumers. Unlike the situation ten years ago, there are now hundreds of different products on the market – though even health and social care professionals often know about only a handful. 3. Will supermarket staff be trained in telecare, or will they be trained only to sell the 2 products that they have on the shelf, and to recognise which of the 2 available would be more suitable (when perhaps neither of them addresses the actual needs of the end user and their family)? I can’t answer this question but I suspect that retailers are interested only in the number of sales that they make, and that telling a potential customer that they need expert advice or that they should be going to a specialist telecare service company would not be a commercially acceptable approach. When a customer walks into an Apple store looking for a phone with a big screen because they have poor eye-sight, do the shop assistants tell them that they should go next door and buy a Galaxy smartphone, or do they try to persuade them that they actually need an ipad? 4. When the O2 Health telecare technology raises an alert because the user has, for example, left home at 3am and is walking down a dual carriageway or along a riverbank on a cold wet night, who is going to respond and will this increase the demand on the stretched resources of social services, the NHS, and the police? Although there is talk of nationally coordinated responder services, the specifications are unclear and there remain more questions than answers. As more families (often geographically distant) invest in next generation telecare systems, the problems that will be detected will include falls, floods, anxiety and 101 other potential emergency situations. Establishing protocols will be difficult and the cost of provision may be rather more than people might expect, or be willing, to pay. This all emphasises the need for complete rather than partial solutions – yet another example of having integrated care. 5. Will people trust a telecommunications company (or for that matter a manufacturing company, a software company, a supermarket, a TV provider, a water company, an electricity or gas company or a security company) to deliver care or will they expert telecare services to be delivered by a company which does nothing else but deliver care? I don’t know the answer to this – but I suspect that there are a lot of people out there who would like to buy their insurance from an insurance company, their water from a water company, and their electricity from an electricity company. I believe that there is a danger that we will treat care as a commodity – and this is perhaps an issue that arises when we consider NHS care at weekends. Personally, I believe that the problem is that the public no longer trusts big companies nor, indeed, any company that seems to put profit before customers. Many of the bigger players in the telecare field need to earn that trust, and that can’t be achieved by rebranding alone – it must be a long-term strategy. I too feel sad that the market has forced the closure of O2 Heath operations – and especially sorry for some very good employees who have worked hard to share a vision that few in the industry could argue with. But we must learn lessons here, and they should not be restricted to telecare because they are relevant to the whole healthcare industry. Maybe we can develop a concensus on what those lessons should be. Kevin–agree, many lessons to be learned here worldwide. #2 Could Help at Hand have avoided the ‘another device’ situation by partnering with SAGA, another association or a private insurer to legitimize the offerings rather than going it alone in supermarket pharmacies and being just another product on the shelf? #3 Supermarket pharmacies are much overrated as a channel, as is Walmart here, unless you have dedicated staff. Did O2 do much in the way of social media and face to face networking with patient advocates other than pushing out tweets? #4 Excellent point David…as alerts flood into the system it overburdens what’s in place. In the US, 911 is fairly universal for police/fire yet what was one of the finest systems anywhere, New York City’s, got caught up in a botched upgrade that is literally making operators turn to pen, paper and runners. http://www.nypost.com/p/news/local/my_hell_as_operator_HYlg05QYm291rqIakgY24J And that is in a good response system, not in a bankrupt city like Detroit or a rural area. Here at Carephone we will be continuing to offer our services and devices so if any of you are left without a solution for your requirements since the closure of O2 Health I can offer you a free of charge trial on our products. Just give me a call on 01327 315171 or 07841870237. Dr. Jackson – Is the company you are referring to Project Lifesaver? I’ve e-mailed for more information on this as it looks great. hear hear to Cathy’s comments…. If you are not one of the duopoly in telecare in the UK then try overseas markets as they are much easier and more open to change.